A dog named Presley is someone who has a lot of love to give. That could be due to her size, but it is mostly due to her sweet, loving personality. 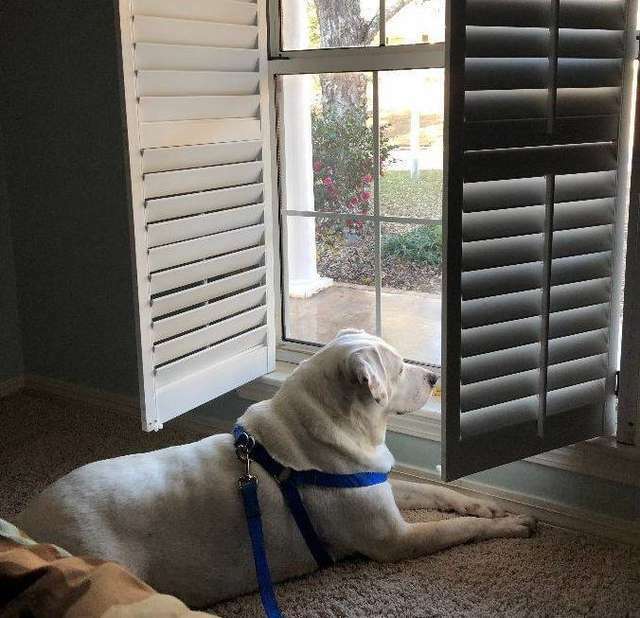 The three year old dog is just missing one thing in her life, and that is a forever home and a family to love her in return. Presley first found herself in a local animal control facility back in 2017. It was there that she caught the eye of a woman named Paula Joyner who volunteers for the East Mississippi Animal Rescue (EMAR). The rescue had extra room and they wanted to fill the spot with a dog who was in danger of being euthanized. Presley really spoke to her and she decided to pull her from the shelter. 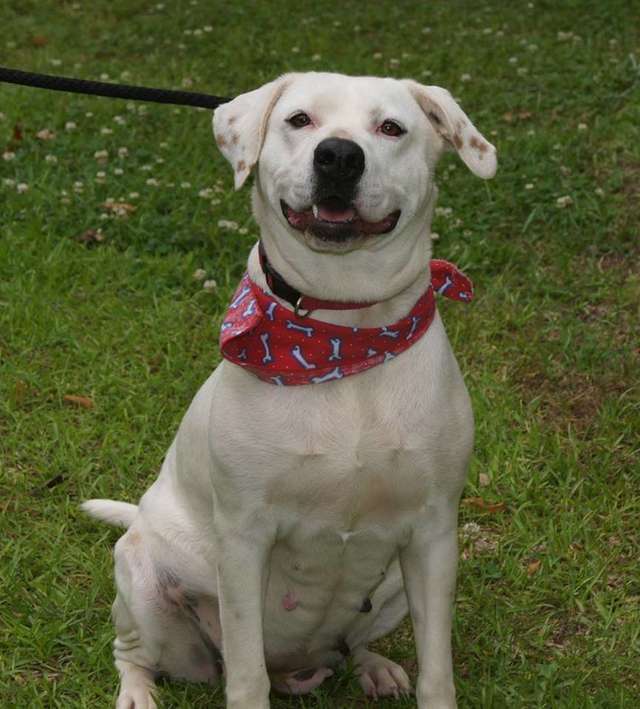 She is Labrador and American bulldog mix and comes in at a hefty 103 pounds. 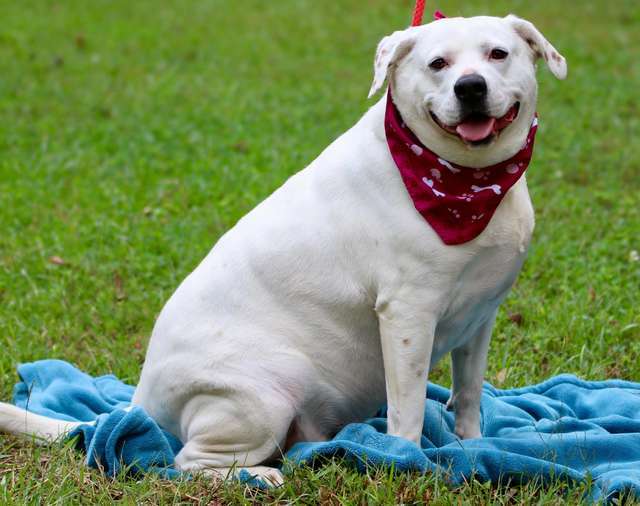 The staff gave her the nickname “Big Mama,” based on her loving disposition and her size. But that was two years ago, and sadly she is still waiting for a forever home. 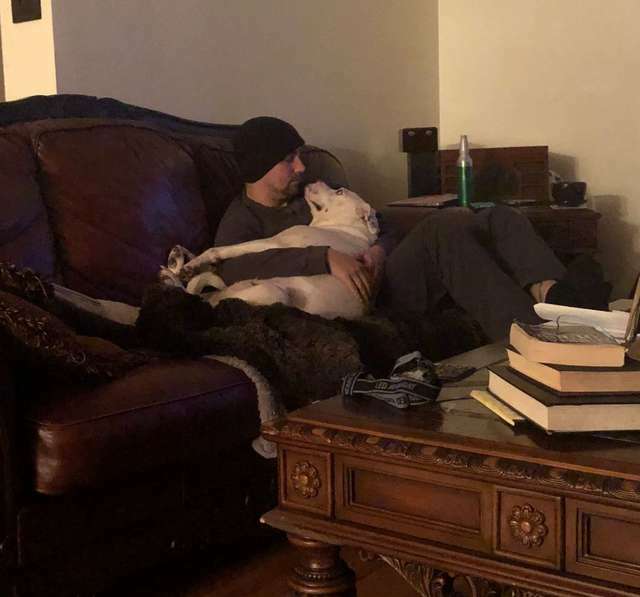 It is baffling her foster family and rescuers, as Presley is a very affectionate dog that doesn’t seem to realize how big she is—she loves to sit in her person’s lap. Her large size is likely due to the American bulldog side, but she has plenty of energy despite her weight—she loves to go for runs and explore the local park. Her weight doesn’t seem to have affected her health or her energy. Presley’s favorite activity is running and exploring outdoors and even loves to splash around the lake. But surprisingly she also loves to get baths and loves to be vacuumed by her humans. She is well behaved though: she doesn’t jump on furniture, is house trained and doesn’t chew or scratch. While she might look like a big, intimidating dog, Presley is a “champion snuggler” and can’t wait to find a forever home for snuggles and adventures!